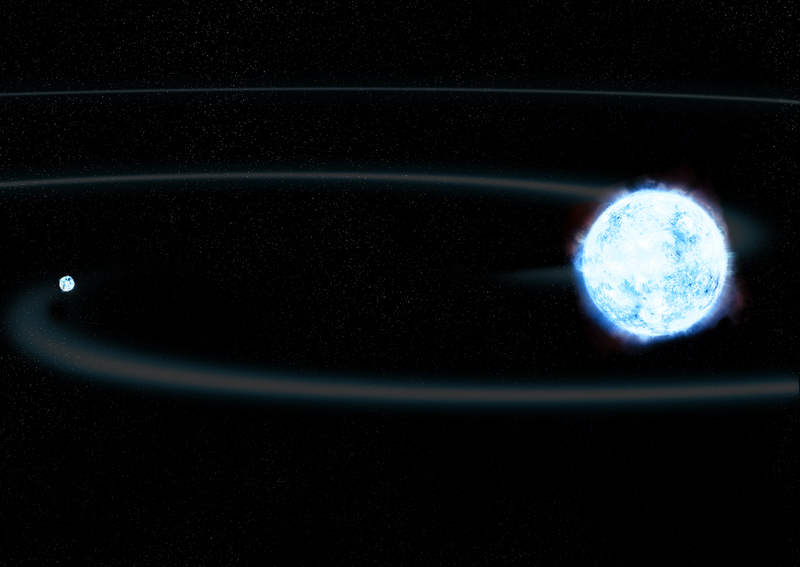 Astronomers have identified two systems to be the progenitors of a class of objects known as AM CVns, where one white dwarf star is pulling matter from a very compact companion star, such as a second white dwarf. The artist's illustration depicts what the two systems are like now and what may happen to them in the future. 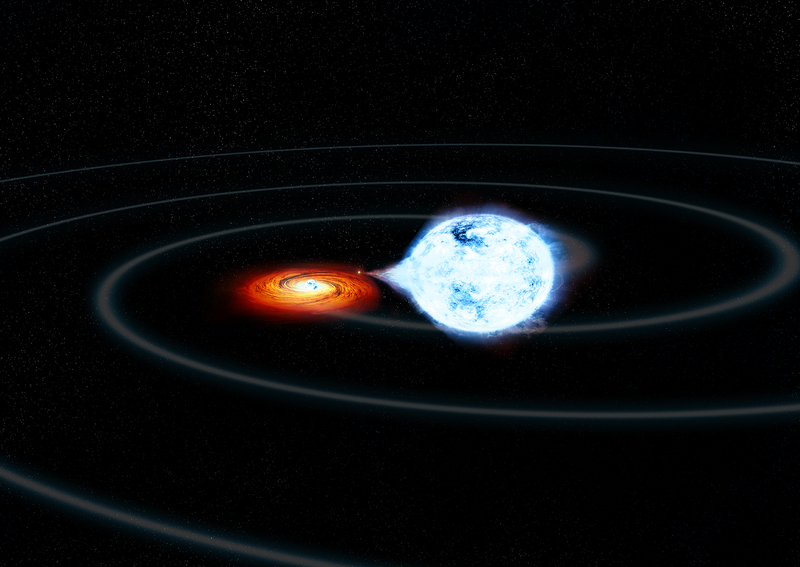 These systems are predicted to generate gravitational waves, ripples in space-time predicted by Einstein. 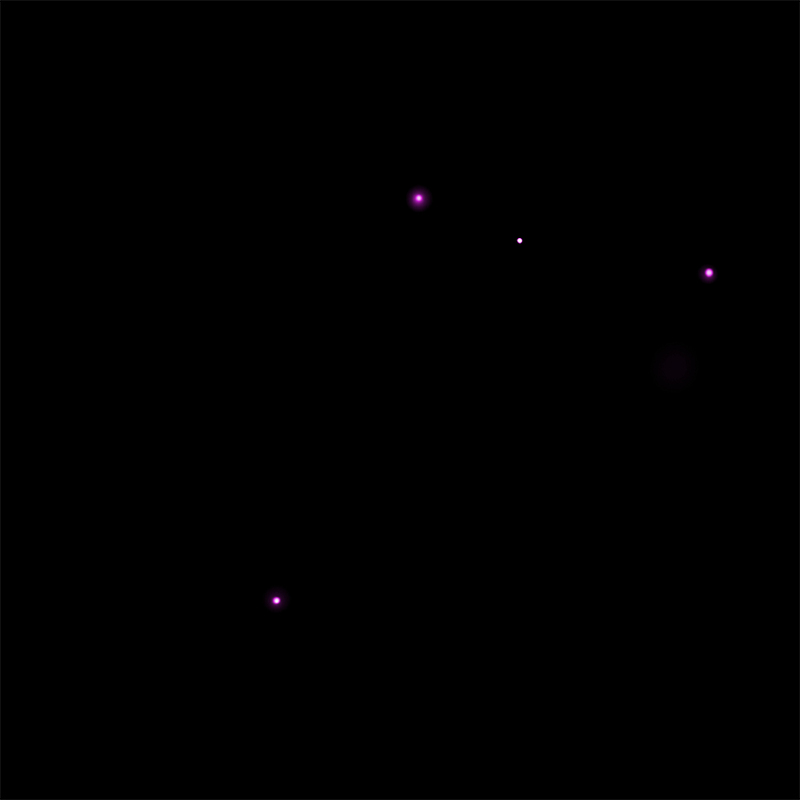 Chandra and optical telescopes were used to identify the two binary systems - called J0751 and J1741 - that will turn into these rare AM CVn systems in the future. This artist's illustration depicts what these systems are like now and what may happen to them in the future. 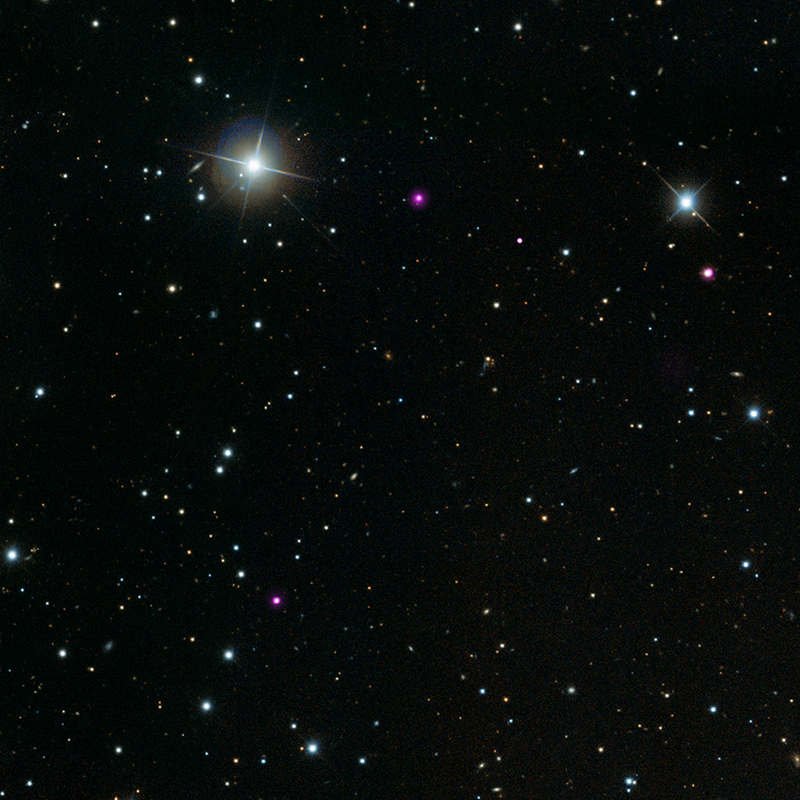 The top panel shows the current state of the binary that contains one white dwarf (on the right) with about one-fifth the mass of the Sun and another much heavier and more compact white dwarf about five or more times as massive (unlike sun-like stars, heavier white dwarfs are smaller). 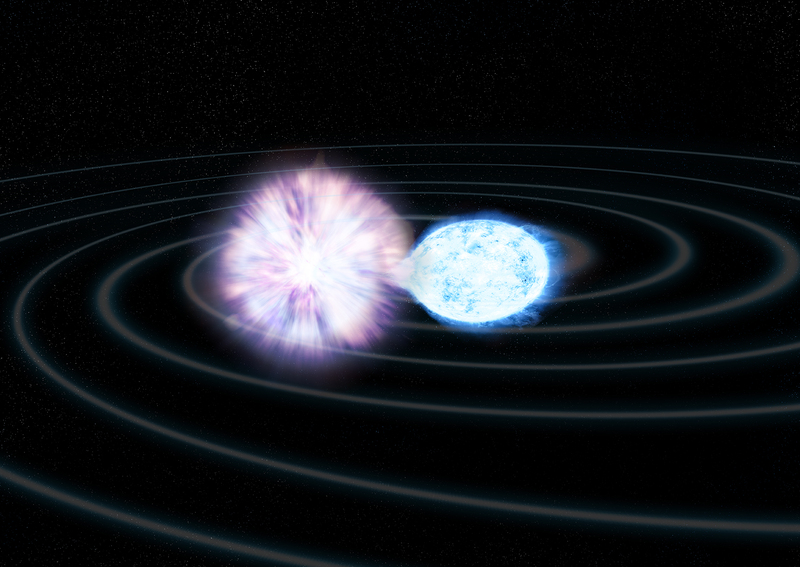 As the two white dwarfs orbit around each other, gravitational waves will be given off causing the orbit to become tighter.  Eventually the smaller, heavier white dwarf will start pulling matter from the larger, lighter one, as shown in the middle panel, forming an AM CVn system. 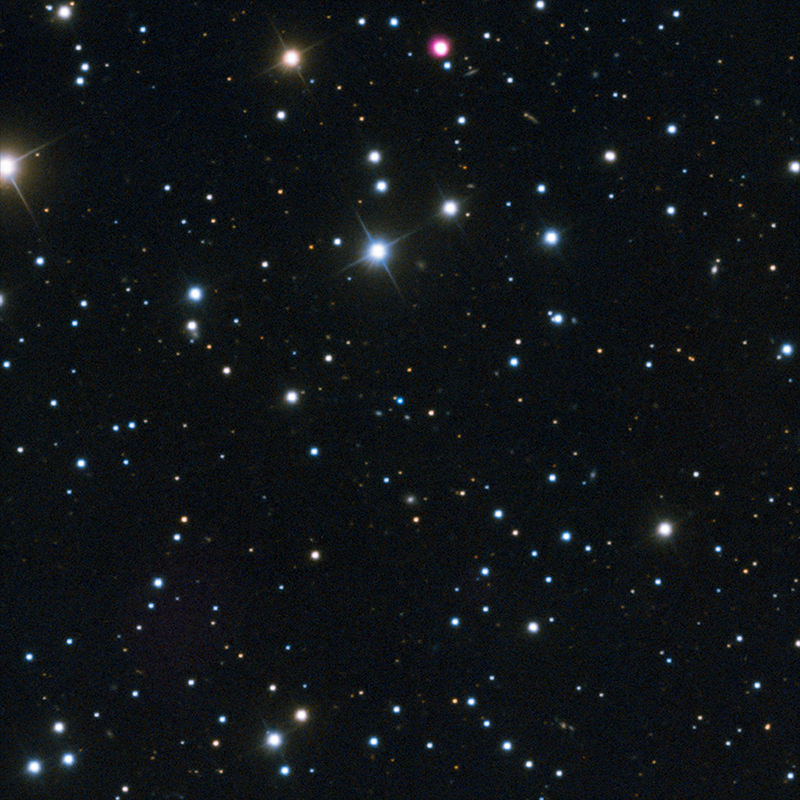 This process continues until so much matter accumulates on the more massive white dwarf that a thermonuclear explosion may occur in about 100 million years.